My preschool age daughter loves to be read to. And she's old enough that she'll sit and listen for extended periods of time, really getting into the story, and following increasingly complex plots. The lastest reading development in our house is that we've transitioned from listening to chapter book audiobooks in the car, to reading those same chapter book series at bedtime. Right now, her favorites are the Magic Tree House books ("Can we read more Jack and Annie?") and the Junie B. Jones books. And then there's my son, who will be two in December. Reading with him looks more like him oh-so-gently dropping a book in my lap ("Book! BOOK! ), flipping to his favorite page, and delightedly squealing, "horsey!" We might then move on to a couple of other pages ("Cow! Chicken! "), but inevitably we come back to his favorite, the horse. Don't get me wrong, these books have their place. They have value. He loves them. But I'll admit, I get tired of these same old concept books. Fortunately, the market for concept books (books that teach a particular skill) is broad. So once you're ready to branch out (okay, maybe I should rephrase that to, "When your child allows you to branch out"), there are plenty of choices. This book is available in boardbook format (score!) and one of our absolute favorites. 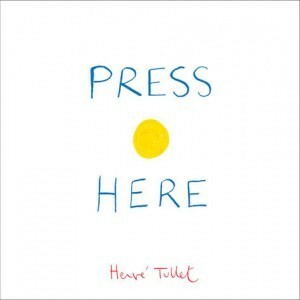 The illustrations are super simple--colored dots. But the book is interactive in a way that induces giggles and gasps of surprise. And then pleas for more. If you have a child who is as much of a perfectionist as my oldest, mistakes are tough. In fact, small mistakes can be enough to bring on alot of tears. 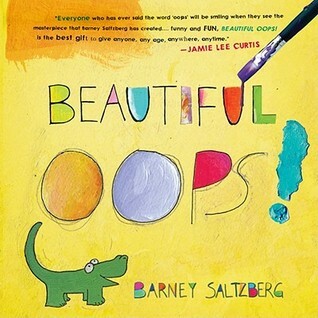 Which is why I love this book, which shows children how the simplest mistake--a torn piece of paper, a stain, a spill--can become something new and beautiful. This is a color concept book, with slightly longer text. Maybe not the first color concept book you introduce, but the illustrations are so beautifully vibrant, I have to include it on the list. This is the story, told with very limited text, of a chameleon who can turn into any shape or color. But he still cannot find a friend. Yes, the ending is a little predictable, but the illustrations are such fun, and teach not only colors, but patterns as well. 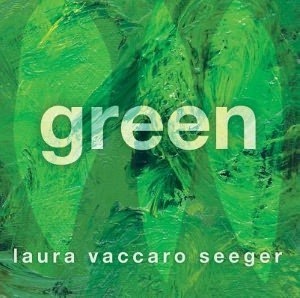 Laura Vaccaro Seeger is a master of concept books. 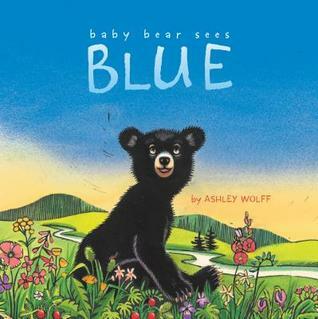 Green was released in 2012, and was a Caldecott Honor recipient this year. Yes, it's a book entirely about a single color. But you'll be thinking about green in ways you never have before. Full disclosure: We still read alot of the Horse Book. And there's also his other favorite, The Truck Book. But as he grows, and is willing to explore a little more with me, we'll be coming back to some of these favorites, too, probably with a little "change is good" nudging from me. It is, after all, my sanity that depends on it. Permissive parenting, passive parenting, Attachment Parenting, Helicopter Parenting, free range parenting, main stream parenting, Intentional Parenting, Peaceful Parenting…yada, yada, yada!! Then there is the advice of your mother, your mother-in-law, your sister, your sister-in-law, your boss, your BFF, your husband's boss's wife's cousin. How in the world is one to choose which advice to follow?! There are proclaimed experts in every area of parenting. There is one (or many) in each school of thought. There is a whole section on parenting in Barnes and Noble. Thousands of pages, blogs, magazines and articles that specialize in telling us how to rear our children fill all of our media sources. Parenting is big business! So how does a newly pregnant woman go about narrowing what works and what doesn’t? The answer is to read it all. That’s right, read everything that you can get your hands on while you are pregnant. Take information from all sources possible. Listen to other mothers. Sit in on cafes and small groups at The Motherhood Collective. This is all very important information to gather, especially when your baby is easily contented with your avoidance of spicy foods and nourished from the umbilical cord. As you start collecting this information, certain thoughts and ideas will begin resonating with you. Certain parenting practices will just seem “right” to you. You will get an idea of what to do when your little bundle of joy arrives. You will get a gut instinct that will continue to develop as you develop as a mother. So now your little newborn is here, and you want to know why the things you just knew you wanted to do with your baby aren’t working. You have a whole arsenal of things to try. The next step in developing your parenting skills is to stop reading those books and to start reading your baby. Watch your baby’s cues and signals. Determine your child’s rhythms and work with them. All of those thoughts and words of wisdom that you have gained from your pre-baby preparation now need to be adapted to fit your baby’s personality. I am here to tell you that no baby will fit inside one parenting book, but there are many ideas on parenting that will amalgamate with your baby’s personality. You will, of course, continue to have questions throughout this crazy and fast journey of mothering. Your baby will continue to develop and you will continue to adapt. Continuing to grow and adjust are all part of this wonderful journey. You are your baby's best mother. You are also never alone. Continue to seek advice of those other mothers and your trusted physicians; but more importantly, remember to trust your gut, listen to your instincts, and NEVER say never. With the changing leaves and falling temperatures, there's no doubt that fall is here! As mothers, we always try to stay a step ahead of the chaos and this month we're taking some time to share our thoughts on holiday celebrations, family traditions and maybe some new ideas about how to enjoy the upcoming season. So grab that cup of cinnamon-spiced coffee, prop your feet up on a pumpkin and enjoy what our writers have to say this month. ~TMC I love this time of year. November and December are two of my favorite months. Cold enough to snuggle up, but not the bitter cold of January and February. Lots of family time. Mounting excitement from our three-year-old. Holiday parties with friends. It all catches up with me in January and I spend that entire month recovering, but that's something I'll worry about then. In our house, books are a part of our daily lives, but I also have seasonal books that only come out at certain times of the year. I keep a box of books in our living room that are rotated about once a month, and as certain holidays come up, I pull the corresponding books out of hiding and we read them during that season. Once the season is over, those books go away for another year. Today, I thought I'd share some of our favorite books for the upcoming season. If you have not yet discovered Tad Hills and his Duck and Goose books (available in both board book and hardcover format), you're in for a treat. These adorable friends are well-loved in our house, and my preschooler can recite Duck and Goose Find A Pumpkin by heart. Following the theme of "it's always in the last place you look", Duck and Goose search all over for the perfect pumpkin. Except, of course, the one place they're most likely to find one. Once you meet these two, you're going to want to run out and gather every book you can get your hands on. You might already be familiar with the Five Little Pumpkins poem, but I particularly lik e this version, illustrated by Dan Yaccarino. Available in board book format, the illustrations show ghosts, and jack-o-lanterns, and witches, but in a manner that is almost cute, and not scary to little ones. This is another book that my preschooler can recite. She particularly likes the ghostly "Woooooo" of the wind and enthusiastically clapping her hands together while yelling, "And OUT went the lights!". Because, after all, a good book MUST contain shouting. For a fun twist on a classical story, try I Know An Old Lady Who Swallowed A Pie by Alison Jackson, illustrated by Judy Schachner. This elderly relative travels to Thanksgiving dinner with her pie contribution. But she's so ravenous that the pie is gone before she even reaches the house. So then she needs cider to wash it down. And then a roll. And then...well, you know how the story goes. This version is truly giggle-inducing. This next book might not be appropriate for the preschool set, but add it to your collection as a classic for future years. Molly's Pilgrim is not a new book, in fact it was first published in 1983. Based on author Barbara Cohen's real family history, this is the tale of Molly, a Jewish, Russian immigrant who struggles to participate in the Thanksgiving discussions of her third grade classroom. When the class is given the assignment of creating a pilgrim, Molly goes to her mother for help, but her mother's interpretation just embarrasses Molly even more. This story goes beyond Thanksgiving to discuss bullying, confidence, and acceptance. There are so many Christmas books out there, it's just about impossible to select one. The one I want to share is one that you may not be familiar with, but is one of the most moving, beautifully illustrated picture books for the Christmas season that I think I've ever read. Angela and the Baby Jesus, written by Frank McCourt of Angela's Ashes fame, and illustrated by the award-winning Loren Long, revisits McCourt's mother, Angela, this time as a child. The young Angela is distressed by the thought of the baby Jesus, resting in the village church's nativity, freezing in the winter night. So she steals him (of course! ), and takes him home to warm and care for him. What follows is a story of family ties, faith, and Christmas forgiveness. Simultaneously touching and humorous (and did I mention amazingly illustrated? ), you will find yourself reading this book even when the children are not around. For Hanukkah, one of my favorite books is The Miracle Jar: A Hanukkah Story by Audrey Penn (author of The Kissing Hand), illustrated by Lea Lyon. This is the story of a poor family busily preparing for the arrival of Hanukkah. When Mother shares her concern that there may not be enough oil to last through eight days of cooking, the children's spirits are dampened. As the days go by, Father recalls the story of the miracle of the oil and the family watches their own oil disappear bit by bit, wondering if it will last to the final day. While this is a story celebrating the Hanukkah holiday, it also has a universal theme of love and perseverance. These books only scratch the surface. My own collection for each season grows each year as I rediscover old classics and fall in love with new ones that I want my children to experience. Please share your favorites! And enjoy the chance the colder weather offers to cuddle up on the couch. Even if it only lasts for a few seconds.